Tax Freedom Day will arrive on April 13 this year, according to the Tax Foundation’s annual calculation using the latest government data on income and taxes. This is the earliest in the year that Tax Freedom Day has fallen since 1967. This is eight days earlier than in 2008, and a full two weeks earlier than in 2007, for two reasons: (1) the recession has reduced tax collections even faster than it has reduced income, and (2) the stimulus package includes large temporary tax cuts for 2009 and 2010. Nevertheless, Americans will pay more in taxes than they will spend on food, clothing and housing combined. In the study, Tax Foundation Special Report No. 165, “America Celebrates Tax Freedom Day,” Tax Foundation staff economist Josh Barro traces the course of America’s tax burden since 1900, examines the composition of today’s tax burden by type of tax, and finally calculates a Tax Freedom Day for each state. Tax Freedom Day moves somewhat independently from an alternative calculation that adds the federal budget deficit to total taxes collected. In 2009, an unprecedented budget deficit over $1.5 trillion produces a date of May 29. This is the latest date in the year this deficit-inclusive measure has ever fallen. The only previous years when taxes and deficit spending comprised a similarly large share of national income were 1944 and 1945, at the peak of World War II. In the postwar era, this date had never fallen later than May 9 (in 1992). 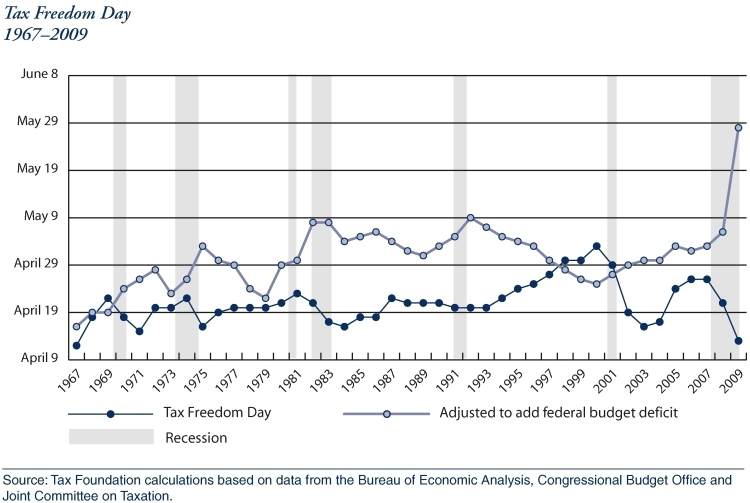 Figure 1 below shows Tax Freedom Day as traditionally presented and with the inclusion of the federal budget deficit, since 1967 (click figure to enlarge). Read the full Tax Freedom Day report here.